It is not unnatural if you are feeling to get out and go somewhere to spend some days free from your daily routine life. In that case, if you are looking for a short trip then Niagara Falls is the right options to fulfill your travelling desire. The following facts highlight the reason why visiting the Niagara region can fill your heart with adventure, thrill, and joy. You can also call it a mini holiday trip where you will be able to enjoy to the fullest when you are going on a NIAGARA TOURS FROM TORONTO.The exciting places in the Niagara region. 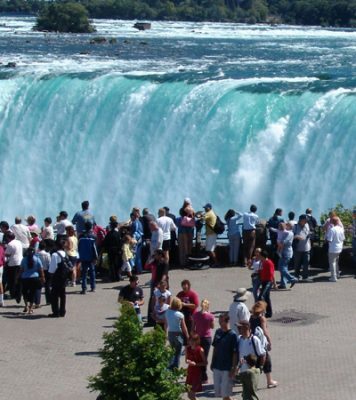 Keeping aside the excitement of witnessing the great Niagara Falls there are many other attractions that which you can check out in the Niagara region. In that case, the neighboring Clifton Hills is filled with various fun attractions and activities where one can spend the entire day of his travel. At the same time, the Clifton Hill is loaded with adventure rides, haunted house, hotels, and bars as well as wax museums that will keep you mesmerizing the whole day of your visit. The Niagara region is also popular for its wineries because it has a fine quality soil that is considered to be best for growing grapes. The wines are very tasty and the wineries where it is made are very beautiful. In this case, you can check out the samples of different famous wines by visiting the famous wineries in that place. You can also buy wines from the place according to your taste and likes. All this you will be able to experience in the NIAGARA SIGHTSEEING TOUR. On the other hand, if you like gambling and feeling to try it then there are great casinos in the Niagara region in the Vegas style where you will be able to enjoy some great time trying your luck on the tables. It also does not matter whether you are heading towards Fallsview casino or casino Niagara but be sure about the fact that you get entertained to the extreme level when you are at the place. On a concluding note, the Niagara Falls offers some of the best natural beauties in the world that you would not be able to see in any other place. There is the smallest chapel as well as the historic town with admirable architecture works worthy of your attention and wonder. Not only that but the different aspect of the Niagara Falls and the region will make you stay a little more every time when you are here to tour the place.